Google’s Nexus series of “Android experience” smartphones are always first in line when it comes to getting the latest updates to the Android OS. The latest Nexus device – the Samsung Galaxy Nexus – is currently on Android 4.0.2 and, today, we’ve received news of a leaked build of Android 4.0.4 for the Verizon Galaxy Nexus. According to the source, there are plenty of small changes that make up for an overall better user-experience: it is “noticeably faster”, has new radios that increases signal strength and makes switching between 3G/4G faster, has faster boot up time, has fixed Android OS battery bug, has increased volume and more. You can read the unofficial changelog here. We’ve got a step-by-step guide on how to flash the leaked build on your device right now. Check it out after the jump. Before you start following the guide, please note that this is a leaked, unofficial ROM. We actually suggest you wait for Verizon to release this themselves just to be on the safer side of things. 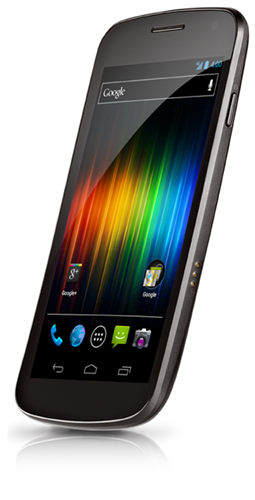 Besides this, you must be on a rooted Galaxy Nexus on Android 4.0.2 (ICL53F) with ClockworkMod installed for this guide to work. 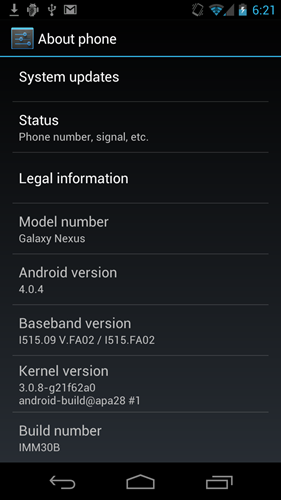 Step 1: Download Android 4.0.4 ICS (IMM30B) [MediaFire] for Verizon Galaxy Nexus (This DOES NOT work on other Galaxy Nexus phones). Rename this to update.zip to transfer it directly under /sdcard on your Galaxy Nexus. Step 2: Shut down your Galaxy Nexus. Power it back on while holding down the power button and the volume up and down button simultaneously until you boot into ClockworkMod Recovery. Step 3: Take a NANDROID backup. Step 5: Once the ROM has been flashed, select reboot system now. If you followed the steps correctly, your Galaxy Nexus will now boot into Android 4.0.4 (IMM30B) ICS. For queries, check out this thread over on XDA.